Check out our latest home security offers below. Crystal clear 1080P HD recording for optimum image quality and clarity. User friendly and Easy to use system. INTRUDER - Loss of sentimental and irreplaceable items, theft of valuable stock and data, disruption to everyday life and delays at work are all very real consequences without the right security in place. 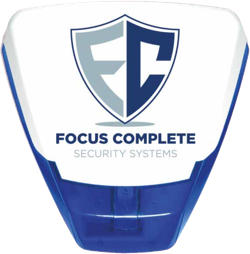 Focus Complete Security Systems specialise in designing alarm systems that are tailored to your particular needs and are within the constraints of budget. Our expert team will assess the exact risks to your home or business and build an intruder protection system that uses both state of the art technology and proven techniques.